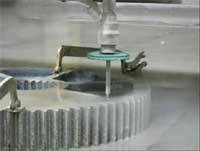 This short video from FedTech shows large stainless steel gears being machined using waterjet cutting techniques. George Collins CEO of the CAST Cooperative Research Centre in Australia explains what who his organisation is and what they have set out to do and who is involved. In particular CAST partner with members of industry and look to improve processes and materials. This video shows an interview featuring Chief Executive Officer of Brown McFarlane, Barry Morse. Barry oversees all the U.K. and overseas business units of the Brown McFarlane Group. Scuba tanks must withstand massive pressures. 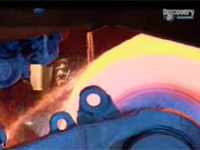 The production process involves procedures such as deep drawing, hot spinning, heat treatment, machining, shot blasting and sometimes hot dip galvanized as well being hydrostatically tested. Zwick robotic testing system 'roboTest P' with materials testing machine 600 kN for tensile tests on heavy plate. Ever wandered what a steel stockyard is and what it looks like ? 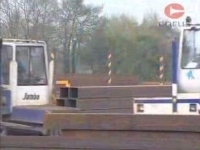 This video clip describe and show what a steel stockyard is and how long 3000 tons of steel can keep the fabrication line going for. 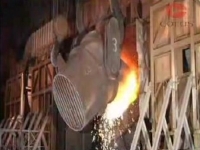 This video shows a strand annealing furnace from Thermcraft. 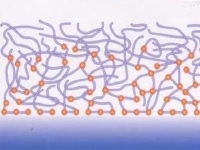 The process shown uses technology patented by ThermCraft and Tire Wire Technology LLC. and involves liquid quenchant fluidized bed technology. 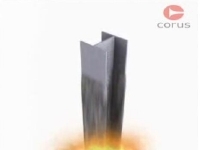 A video clip from Corus showing the use of steel plasma cutting as an alternative cutting method for cutting steel. 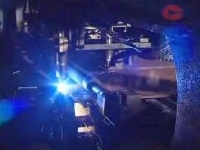 The video demonstrates the process of how steel plasma cutting is performed. 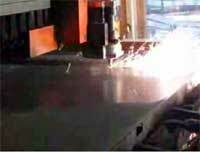 Steel plasma cutting with a copper tip can reach temperature of 20,000 degree celcius with a velocity approaching the speed of sound. 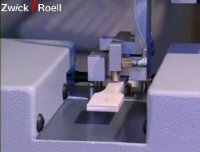 This video clip from Corus shows the coating of fabricated steel members for building and construction applications. Decorative and functional coatings are applied once fabrication is complete. The types of coatings are dictated by design regulations and architectural demands. Intumescent coatings are detailed. Most people are familiar, or at least have come into contact with stainless steel on an almost daily basis. 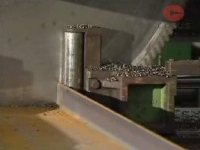 This informative video details how stainless steel is produced from scrap metal. The video then goes into the production of stainless steel strip from slab as well as cleaning scale and stress relieving so that it is easier to process. 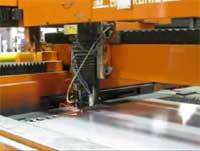 A demonstration of laser cutting cold rolled steel by FedTech. 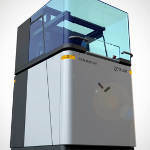 The Clemex CMT is an automated microhardness testing machine that can operate in Vickers or Knoop testing modes. Operation can be fully automatic thanks to PC control and image analysis software. An instructional video on how to keep your stainless steel appliances looking like new using ProtectaClear. 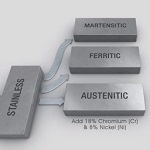 Aalco Metals presents an informative and educational animation to explain all the different stainless steel grades and how these differ in properties and applications. 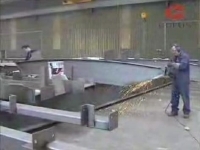 How does Steel Sawing Work? 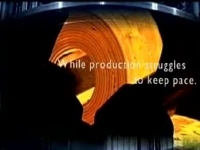 A video clip showing how steels are cut during the manufacturing and fabrication process of steels after being delivered to the steel stockyard. 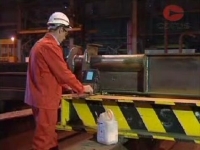 A video clip demonstrating the fabrication and a start to finish manufacturing process of steel. The versatility, low cost and high strength makes steel one of the most attractive material in the construction industry. Therefore it is vital that the fabricators deliver the steel according to the requirements of the construction contractors. 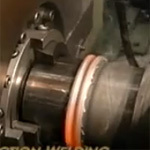 This video shows a the patented wire strand annealing process developed by Thermcraft and Tire Wire Technology LLC. 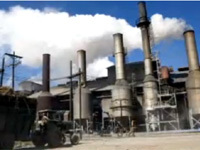 The process utilizes liquid quenchant fluidized bed technology. This video shows the properties of alloys made of nickel and titanium and demonstrate the affect of stress on the properties of alloys. Laser cutting stainless steel by FedTech. Brown McFarlane is one of the global processors, traders and distributors of high quality alloy, carbon, duplex, stainless and super duplex steel plates. NanoSteel have developed a revolutionary new nanostructured steel that combines high strength, high ductility and the ability to be cold-formed. Auto makers who use this alloy will be able to save kilograms due to its high strength, which has the beenfit of increasing fuel economy which is becoming an increasingly important design objective. This video features an interview with Brown McFarlane’s Managing Director: International Business, Andrew Webster. He has an experience of more than 25 years in the steel industry. This video features an interview with David Smith, Product Manager for stainless steel plate at Brown McFarlane. David talks about Brown McFarlane’s range of products and services. 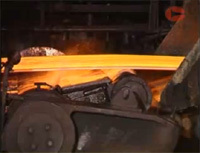 This video produced by Corus describes in detail the hot rolling process for steels. 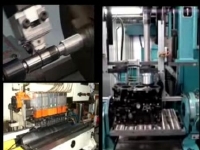 There is emphasis on the hot rolling equipment used to produce various profiles and how it can be used to produce profiles with high degrees of accuracy.